Disclaimer: I know next to nothing about wine, aside from the fact it tastes good and makes me happy. Disclaimer 2: I've only really enjoyed drinking wine in the last year or so, but I don't drink nearly as much as I would like (unfortunately, I have champaign taste on a beer budget, as they say). That being said, I want to introduce you all to Ontario Wine. Part of living sustainably means buying locally produced items. And luckily, Ontario has some of the best wine around, especially Niagara-on-the-Lake. 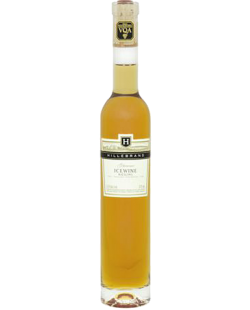 I'm partial to sweet wines, and I have a specific affinity for Ice Wine. And what I love best about Ontario wine is that the producers engage in sustainable practices, which includes everything from the water used in growing the grapes, to the (lack of) pesticides used, to engaging with local farmers. You can learn more about the sustainable practices here. While available in different types (flavours, yummy tasting varieties? ), the three most popular are: Vidal Blanc, Riesling, and Cabernet Franc; I'm partial to the Riesling. Some of the top Ontario growers include Inniskillin, Peller Estates, Hillebrand, and Pillitteri, just to name a few. And as if the taste of Ice Wine wasn't inciting enough, there's the general ambiance of Niagara-on-the-Lake. The vast majority of the wineries have award winning, critically acclaimed restaurants attached, with some of the best chefs in the world, as well as winery tours. There are B&B's, Spas (White Oaks is by far the nicest), and hotels (Prince of Wales) all available for a weekend stay. There are special events throughout the summer, be it the annual Cherry or Peach festivals (my favourite fruits), or the Shaw Festival Theatre productions, there's something to do for everyone. So if you are planning a trip to Southern Ontario this summer, give the Niagara region a try. You are sure to fall in love with the small town charm, and stay for the alcohol.